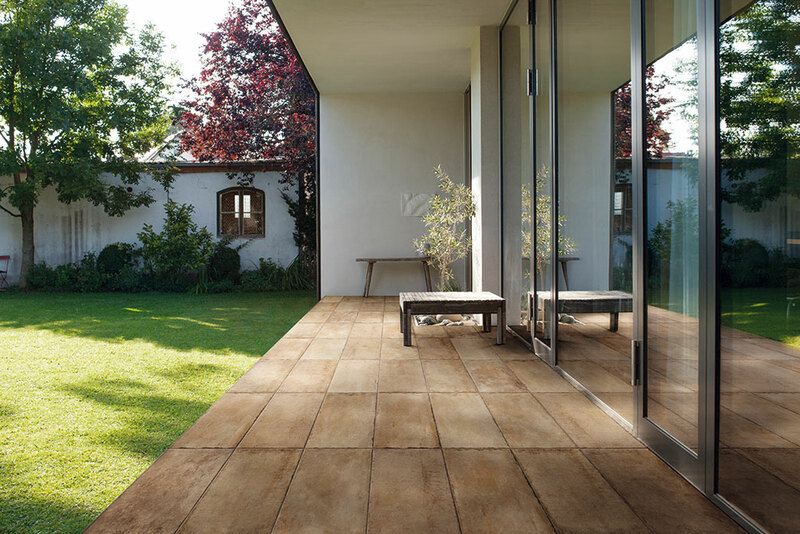 Heritage combines the practical features and the superior technical performance offered by the latest generation of porcelain stoneware with concepts firmly linked to traditional fired clay tiles in the most classical of shapes. 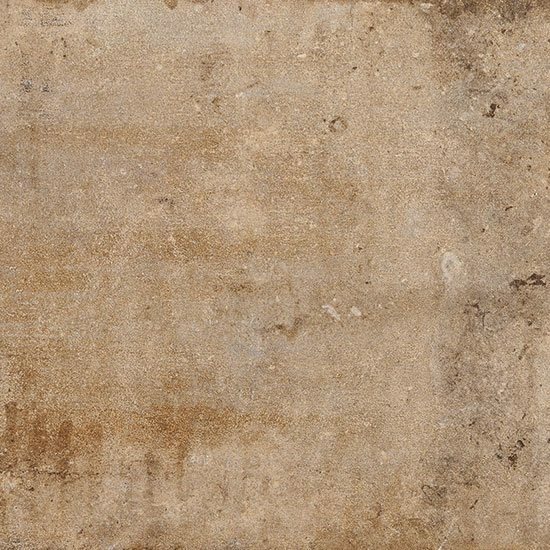 Classic and timeless this type of stone effect tile never dates, Natural stone has numerous uses: as a building material, an essential component of concrete. 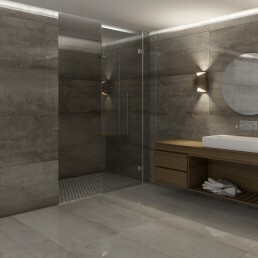 "This porcelain stone effect tile has numerous similarities to the natural stone it is imitating." Heritage has a warm rustic travertine effect, available in a variety of shades. The manufacturer has managed to capture the effects of the neutral stone. 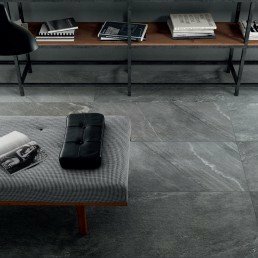 The advanced digital printing reproduces the natural pits evident in natural stone tiles. 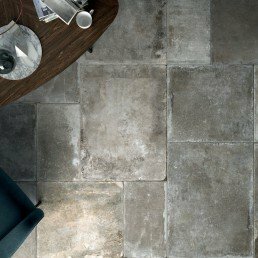 The chipped edge gives a dramatic grout line and the brushed finish leaves the stone effect tile with a defined texture. This reproduction of natural stone allows for easy maintenance. 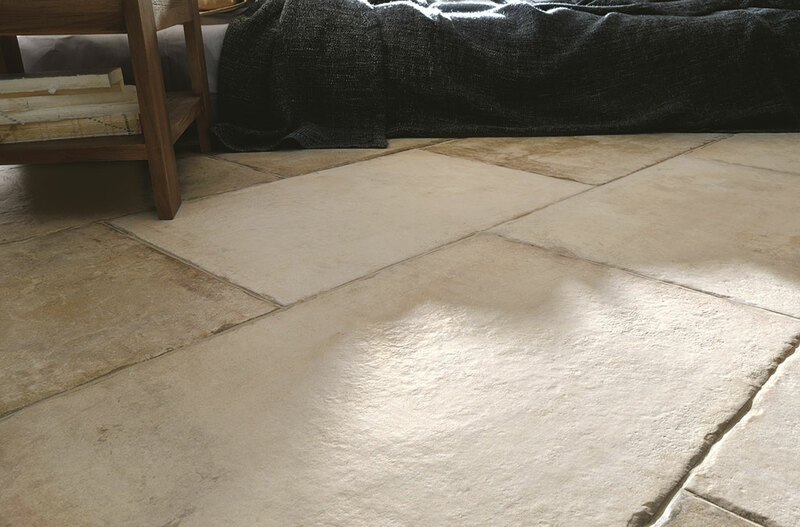 Heritage carries eye caching characteristics with the tumbled, brushed chipped edges. 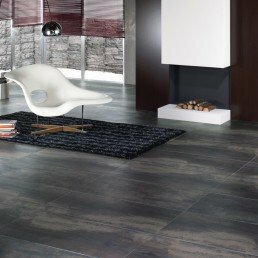 These distinctive traits add to the identity of this porcelain tile. 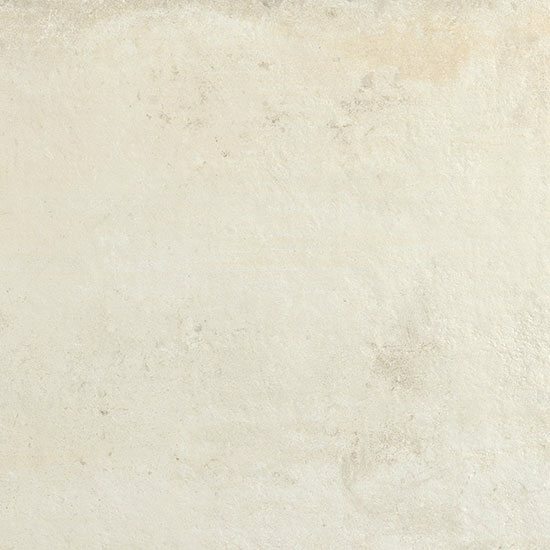 Travertine is a type of limestone, formed in hot springs and rivers and has been used in buildings for thousands of years making it a timeless classic. Some colours in stock now! 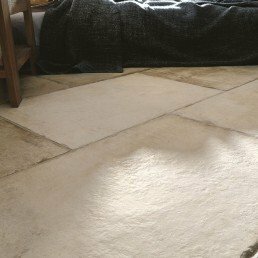 Porcelain stone effect tiles are hugely popular choice for those seeking a natural stone floor. 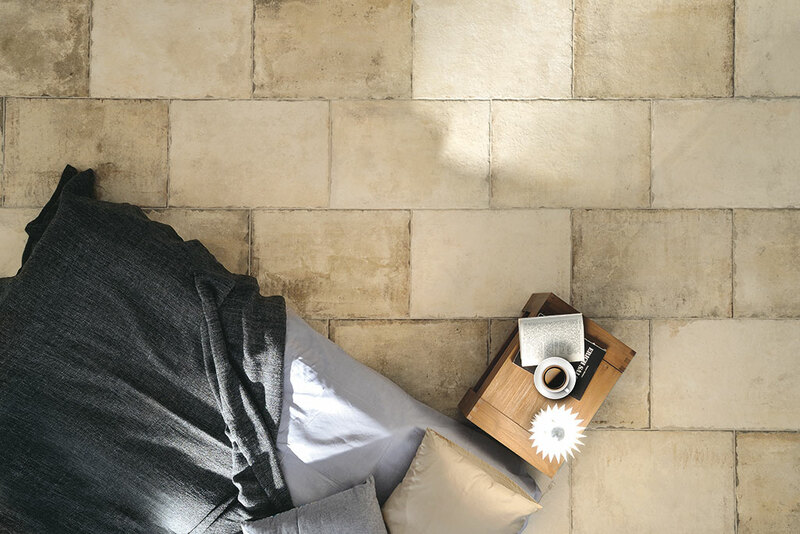 This versatile porcelain stoneware tile is available in a range of sizes with a natural finish. 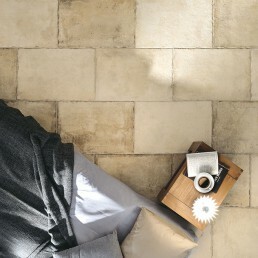 Visually heritage is almost identical to natural limestone. 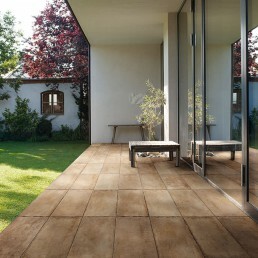 This tile is suitable for domestic and commercial uses.